Lancelot Place, located in London’s Knightsbridge area is one of the most exclusive areas in the British capital. 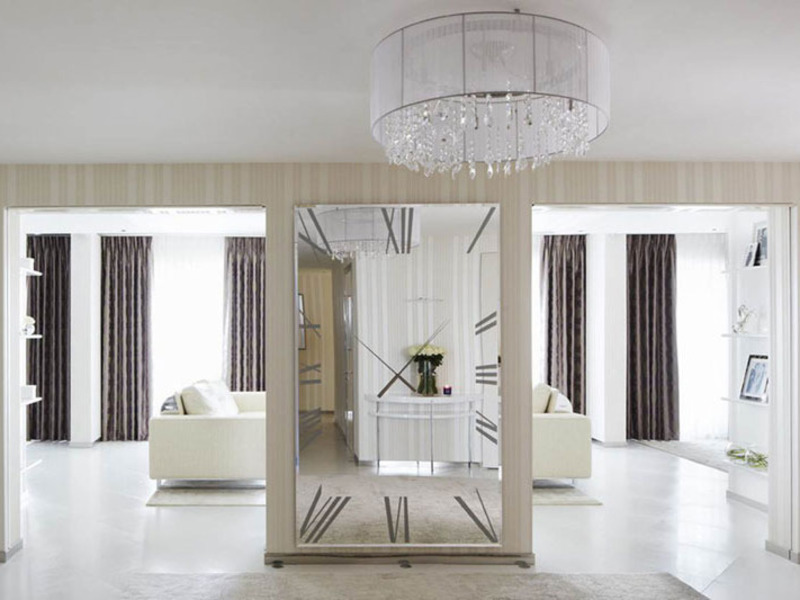 A most spectacular Penthouse apartment was designed by Anna Casa Designs, London, overlooking Hyde Park and Harrods. The penthouse apartment boasts two luxurious reception rooms, kitchen, five bedrooms including a master bedroom suite with his & hers own bathroom and an exceptional roof terrace with 360 degree views. 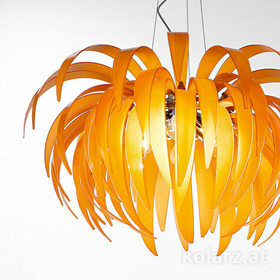 A light airy design with white backdrop colours was what the customer required. 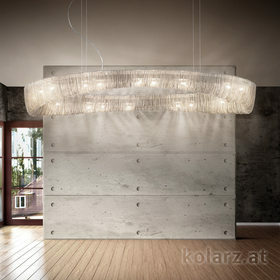 The stunning KOLARZ Gioiosa Chandelier with a crisp white organza shade was chosen to highlight the entrance hall.